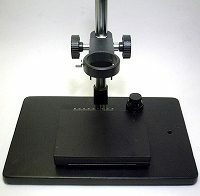 Simplified XY table TK100 (Stage color：black)　– Shodensha Vietnam Co., Ltd. 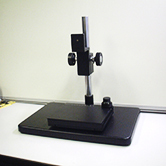 The simplified XY table is provided to a reasonable price. 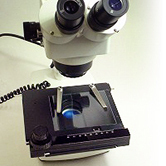 It can be used on all kinds of stand of digital microscope or stereo microscope. 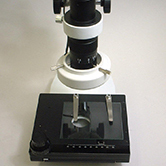 Firstly, remove the arc base from microscope, and then interlock the stage. 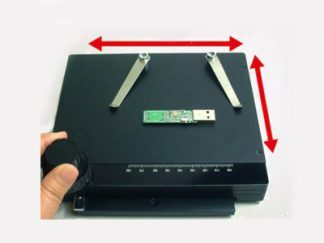 In case of standard stand,please use screw nail to fasten.